Avon India Social Media Case Study of the Pay Attention campaign was designed to address this lack of information among Indian women. With Pay Attention, Avon India not only intended to raise awareness around the prevalence of breast cancer among Indian women, but also equip women with the knowledge and understanding to conduct self examinations. The objective was to spread awareness on breast cancer prevention protocol – the Breast Self-Examination – just 4 easy steps and a few minutes in a month when made a ritual, could help in an early detection of this disease and prevent countless lives. While the objective was laid out, the brand faced a number of challenges, one of which was breaking the clutter of breast cancer awareness campaigns. 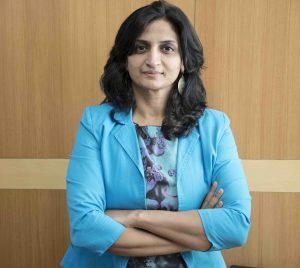 “While there are a lot of brands trying to generate awareness around this cause and successfully so, they fail to drive and sustain a dialogue and educate people about the early detection tactics and bring about a behavioral change in the society.” says Swati Jain. Thus, Pay Attention was divided into four stages by the brand, for a comprehensive and high impact execution of their strategy. The brand rolled out the campaign a month before the Global Breast Cancer Awareness Month which arrives in October. “We launched our campaign in September – way before the Breast Cancer Month in October to ensure our messaging does not get lost in the clutter of campaigns that arise specifically in October. Owing to this strategy we were able to organically gain influencers/ partners who willingly joined hands with us without expecting a penny in return of their associations,” Jain explains. Aiming to create a campaign that was beyond frivolous cause marketing exercises, Avon India claims to have done their research around the subject, and then shared their insights with Avon India representatives, prominent media, renowned doctors, celebrities, subject matter experts, NGOs amongst people from various walks of life. By presenting their findings, Avon India managed to create a voice about the gravity of the situation as Breast Cancer can affect anyone. These statistics gave us reasons enough to embark on a crusade for generating awareness around breast cancer’s early detection,” Jain shares. Do you think #breastcancer can strike you? It is a myth that breast cancer can only happen to women who are in their forties and fifties. #PayAttention and share this video in our effort to battle the disease. 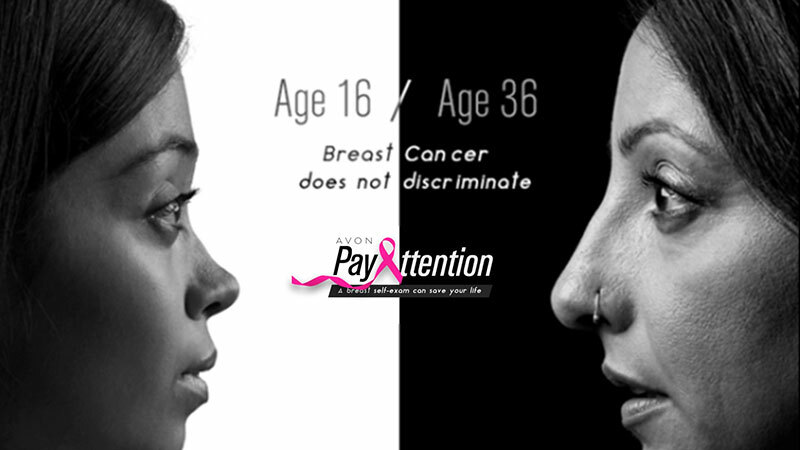 Using their insight and research about Breast Cancer in India, Avon India launched the avon-payattention.com, an exclusive website that became a comprehensive guide for people seeking dependable information on breast cancer. At the onset, the brand discovered that owing to the cultural/religious proscriptions – women did not access health services and are reluctant to consult male doctors. They’re often dependent on other family members to seek medical help for them. “Furthermore, the new generation women are starting to reject the prevalent campaigns around this cause like the “pink-washing” propagandas which are often shammed for commercial gains,” Jain adds. Avon India created and published a demonstrative video which also helped them ignite and drive conversations on social media platforms such as Facebook, Twitter, and Instagram, inspiring participation from the digital audience, helping the brand spread the word further. 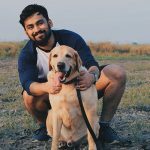 Social Media influencers collaborated with Avon India, helping them reach an even wider audience by pledging to perform the breast cancer test regularly. Survivor Stories, testimonials of breast cancer survivors shared their ordeals, experience and eventual triumph, helping debunk the taboo and myths surrounding the disease. Debashree didn’t let #breastcancer break her confidence. Rather her confidence to fight the disease helped her win this battle. #PayAttention to the story of this brave survivor! Social media and digital activity for Pay Attention helped Avon India gain support from numerous Bollywood celebrities, social media influencers and bloggers, and sportsmen including the likes of Virender Sehwag, Arjun Kapoor, Sunny Leone, Chelsea Clinton and more. During the stage three of Pay Attention, Avon India engaged with influencers and oncologists to create an on-ground impact with interactive sessions across cities – Chandigarh, Goa, Guwahati, Hyderabad, Kohima, Ranch, Delhi, Kolkata, Mumbai, and Bangalore. Here, one of the notable successes were – an awareness marathon organized with survivors, supporters and volunteers in the city of Kohima. This was followed by the city’s beloved “The Tribe Motorcycle Club” riding across the town to raise awareness. Several breast cancer survivors shared their survival tails inspiring strength for more than 400 men and women gathered to know what they could do to detect the disease in early stages. Avon India partnered with the Indian Cancer Society to activate its medico vans in 7 cities, helping hundreds of people understand the importance of early Breast Self-Examination. Furthermore, in collaboration with DIVA – Centre for Breast Care, the brand conducted 10,000 free Breast exams across cities – with beneficiaries coming from the underprivileged section of the society. More than 10,000+ Avon representatives emerged as the ambassadors of the movement and pledged to promote this examination as a ritual while they performed it themselves on a regular basis. Head Oncologist, DIVA, interacted with women and impressed upon the importance of performing a Breast Self-Examination regularly. Through Pay Attention, Avon India managed to own the highest SOV with 15% of the total conversations, as compared to the 1% owned by the second best campaign around breast cancer awareness, as per the company. Offline, Avon India reached 1.09 Billion people through our movement and generated PR value worth USD 206.7 Million with a media spend of just USD 2.5K. On social media, the brand managed to carve a reach of more than 917 million on Facebook, 101 million on Twitter, 109 Million through PR stories and 29 influencer videos with 36 million impressions. #PayAttention also managed to become one of the top trending hashtags around Breast Cancer Awareness in the country. Additionally, over a 185 thousand interactions were created on Instagram, followed by 199 thousand interactions on Facebook posts. The Avon Breast Cancer Crusade, which launched in 1992, has placed Avon and the Avon Foundation at the forefront of the fight against breast cancer.